The University of Illinois at Urbana-Champaign (UIUC) was awarded a $5 million grant to study ways to increase the water use efficiency (WUE) of sorghum, a crop used for bioenergy. Researchers hope to make sorghum an even more practical source of bioenergy by decreasing the plant’s moisture loss so that it can be farmed in lands that would be too arid for traditional sorghum. In fact, they propose to increase the WUE for their sorghum by as much as 40%. How do researchers plan on achieving this? 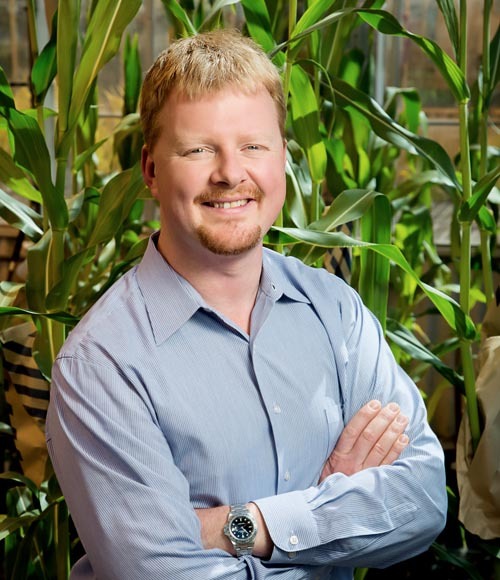 Dr. Andrew Leaky, Associate Professor of Plant Biology at UIUC’s Institute for Genomic Biology, is the Principal Investigator for the project. He and his team are working on a two prong approach. First, they intend to decrease the amount and size of the stomata, tiny pores that the plant uses when exchanging oxygen for carbon dioxide. Secondly, they are attempting to shift more of the photosynthetic activity to the plants' lower leaves where the air is more humid. These two approaches will reduce the amount of water lost, thus increasing the WUE. To accomplish this they will study naturally-occurring plants and identify the alleles responsible for naturally increased WUE. 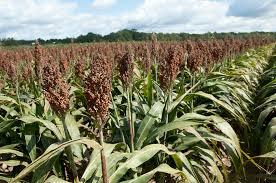 They will also use biotechnology methods to manipulate sorghum genes to enhance WUE. By combining the naturally occurring alleles and those they’ve modified, they’ll be creating an entirely new line of sorghum that will be more water efficient. According to the University’s news site, “This research could unlock more than 9 million new acres currently unusable for energy crop production, and increase production on currently farmed land by nearly 30% on average.” This could bring about a huge increase in the availablity of biofuel and a decrease in America's dependency on fossil fuels. Like corn, sorghum belongs to the grass family. It will grow in harsh environments where other crops do not grow well. For centuries, sorghum has been an important food staple for millions of poor rural people in the semiarid tropics of Asia and Africa. Grain sorghum is the third most important cereal crop grown in the United States and the fifth most important cereal crop grown in the world. Sweet sorghum has become an increasingly popular food product because it is gluten free and can be used as a substitute for wheat, rye and barely. It is also commonly used in animal feed. Sorghum is also of great interest as a biofuel. Sorghum produces the same amount of ethanol per bushel as comparable feedstocks such as corn but uses one third less water. That’s why the Department of Energy’s Advanced Research Projects Agency awarded UIUC the grant to research the possibility of making sorghum an even more efficient source of biofuel. 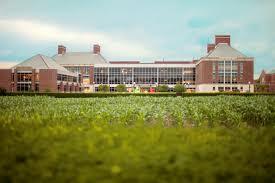 The Carl R. Woese Institute for Genomic Biology at UIUC conducts research in three major program areas: Systems Biology, Cellular and Metabolic Engineering, and Genome Technology. They have over 130 faculty members from 30 departments conducting research into many of the pressing issues facing the modern world. Their mission is to “advance life sciences research and stimulate bio-economic development in Illinois.” They do this through pioneering research in bioenergy, critical climate change studies, and promising work in regenerative medicine, drug development, and understanding cancer on a cellular level.